Pakistan would host Australia in a short tour in United Arab Emirates where the two sides would play 2 Test Matches and 3 T20 games. Pakistan Cricket Board has become used to hosting its home games in UAE with most international sides refusing to travel to Pakistan due to concerns around safety and security for almost a decade now. The Pakistan Vs Australia series promises to be a great contest between the two sides given that they match evenly on paper. Pakistan’s lacklustre performance in the recently held Asia Cup has raised some doubts about the team’s form and temperament. Australians on the other hand are yet to completely come out of ball tampering scandal and with Steven Smith and David Warner still serving the bans they don’t look the same side anymore. The fact it would be a closely fought series which makes is both interesting as well as difficult in the betting market. If you are planning to wager on the outcome of the games and other betting markets we at Betting Top 10 bring to you well-analysed Pakistan Vs Australia prediction. Our cricket analysts would keep a close eye on the performances of the teams as well as individual players throughout the series and bring to you betting tips that help you bet proactively and earn handsomely. What Are Australia Vs Pakistan Fixtures? Who Will Win Australia Vs Pakistan Series? How Have Been the Results for Pakistan Vs Australia Test? How Have Been the Results for Pakistan Vs Australia T20? Where can I find Pakistan Vs Australia Predictions? You would find the best and the most qualified game previews and predictions on our website. We have established ourselves as one of the most visited websites for match predictions and betting tips for other markets. We would bring to you the most detailed coverage of Australia Tour of Dubai 2018 and predict the winners and also offer you other betting market tips right here. Our team comprises seasoned analysts who follow the form, playing conditions and all other variables that can have bearing on the final outcome of your game. We are the most trusted source for Australia Vs Pakistan 2018 series and we would be happy to have you in the club of our loyal users. Where Can I Find Pakistan Vs Australia Score? 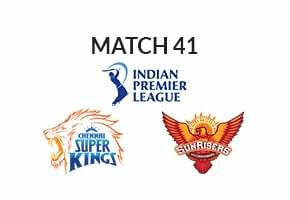 There are cricket portals around the world that would cover this important series and offer you ball by ball update of all the games played between the two teams. You’d also find updates on various news websites and also can use your voice assistant to keep track of the latest scores and updates throughout the course of these five games. How do Predictions for Pakistan Vs Australia 2018 Benefit Me? You can’t bet in the blind and hope to score every time while betting on this series which promises to be keenly contested. If you don’t have the time to follow the game ball by ball our cricket predictions would offer you the right direction towards educated bets. You will be able to bet based on analysis and facts and not have to follow any speculations.